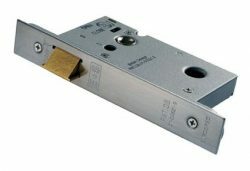 Easi-T Lever 5 Lever Deadlock in 64mm or 76mm options. 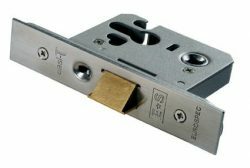 British Standard BS EN 12209 Rated Lock used as a matter of course by the national house builders. 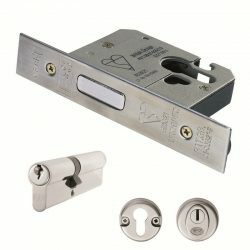 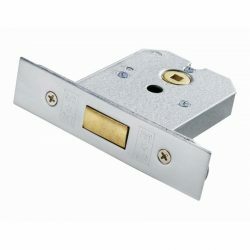 This lock provides a good degree of security and carries a 10 year mechanical guarantee. 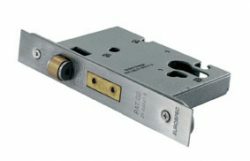 It has been CE and Certifire tested. 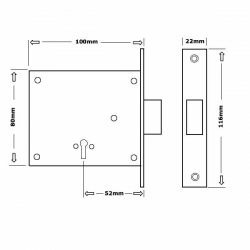 Suitable for use in all domestic, industrial and commercial environments. 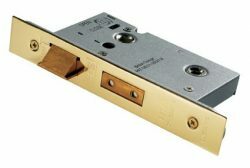 As long as the recommended cleaning process is followed, the stainless brass PVD long-life finish offers a 25 year finish guarantee, which renders the surface impervious to damage in normal use including oxidation and abrasion. 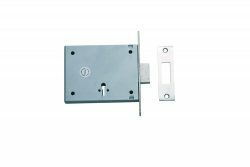 So your product will stay as good as new, even in coastal areas.